Ripley has been forever linked with a terrible time in America's history, as well as incredible bravery on the part of individuals who saw a wrong and tried to correct the damage caused by that help, risking property, what little possessions they may have obtained and most of all, their lives and reputations. Slavery had been a part of America's history from the early days after the settlement of Jamestown. In the early 1800s that wrong was being challenged in many places throughout the country. One of those places was in the tiny river town of Ripley. Here, a small group of men and women helped usher escaping slaves from the south through a loosely organized clandestine group of citizens that moved them under penalty of law, northward, towards Lake Erie and the shores of Canada. While it didn't begin in Ripley, Ripley was one of the major stops on the Underground Railroad in Ohio. Once in Ripley escaping slaves knew they were no longer in a slave state, but they were far from being safe. Capturing escaped slaves was a money-making enterprise filled with unscrupulous characters that had the law on their side. In late February 1838 the Ohio River was still frozen, but had begun to break up. A mother and her child living near the river decided she could wait no longer and decided to make an escape from her life of slavery. Despite the treacherous crossing, the woman and her child made it across this deep stretch of river at Ripley and on to John Rankin's house high atop the banks of the Ohio River. Although John Rankin was careful in who he confided about exploits concerning daily events that occurred on the Underground Railroad, he did relate the details of this brave woman's adventure and courage to Harriet Beecher Stowe, a friend and colleague of Rev. Rankin. Harriet Stowe would later use that information in her little book: Uncle Tom's Cabin the book that Abraham Lincoln credited with starting the Civil War. Ripley is located upriver about 50 miles from Cincinnati in Brown County and had been the focus of many such crossings for escaping slaves up through the Civil War. Early settlers had been arriving in the Ripley area since the late 1700s. It became an epicenter for anti-slavery in 1804 when James Poage of Virginia arrived in the area and he freed his slaves. The little settlement he created was first called Buck's Landing, and later changed to Staunton in 1804 as recognition of his hometown in Virginia. As the town grew in size and Poage began laying out the town proper, he was informed a town named Staunton already existed further north. So in 1816, the 104 townspeople decided to change the name to Ripley in honor of General Eleazar Wheelock Ripley, an officer from the War of 1812 who had commanded the 2nd Brigade in the army of General Brown for whom Ohio's Brown County had been named. Ripley is located along one of the deeper sections of the Ohio River as well as one of the straightest landings in the area. The area's geography made it an important gateway for escaping slaves. The Ohio River, although deep, it was also narrower in this area making the crossing somewhat safer. Once across the river, the town sits at the bottom of a high bluff that made it easy for lookouts to see great distances so they would be aware of anyone in pursuit. The town is then situated between creeks that helped escaping slaves lose their scent from the tracking dogs that would soon be on their heels. Up till the Civil War, Ripley was like many of the cities in Ohio: a divided town on slavery. One end of town was anti-slavery with outspoken opponents. The other end was pro-slavery and not afraid to openly threaten the abolitionists living on the other side of town. Armed fights were common. In the years before railroads, Ripley was a principle shipping center for Ohio, and it had an extensive boat-building industry. During the Civil War, Ripley became an important tobacco center. In fact, there is an Ohio Tobacco Festival in Ripley every August that showcases the heritage of tobacco farming in Ohio which is still grown in the area. There is also a tobacco museum in Ripley, the only one of its kind in the state. In 1821, Rev. John Rankin moved his family to Ripley. Rankin would become a strong supporter of the anti-slavery movement. His second house in Ripley became a focal point of anti-slavery activity and the Underground Railroad. 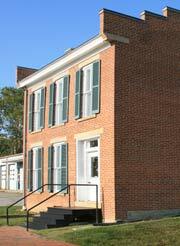 That house is operated and open to visitors through the Ohio Historical Society. At night John Rankin would raise a lighted lantern to the top of a flag pole that served as a beacon to runaway slaves looking for a place of safety after they crossed the Ohio River. 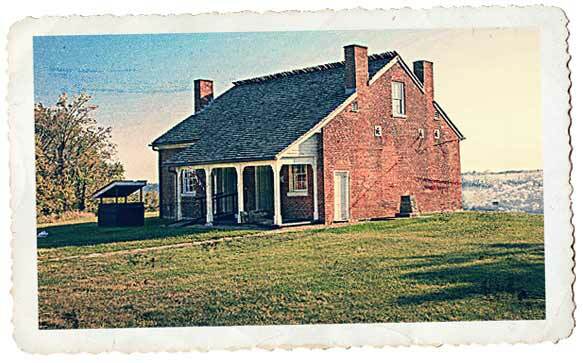 John Parker (1827-1900), a former slave, lived in this house, which has been designated a National Historic Landmark, from about 1853 until his death, and from this location planned many rescue attempts of slaves held captive in the "borderlands" of Kentucky. Born a slave in Norfolk, Virginia, Parker was sold at the age of 8 to a doctor in Mobile, Alabama. The doctor's family taught Parker to read and write and allowed him to apprentice in an iron foundry where he was compensated and permitted to keep some of his earnings. Persuading an elderly female patient of the doctor's to purchase him, Parker, at the age of 18, bought his freedom from the woman with money earned from his apprenticeship. Parker moved to here and around 1853 established a successful foundry behind his home in Ripley. Patenting a number of inventions from his foundry, Parker was one of only a few African Americans to obtain a U.S. patent in the 19th century. 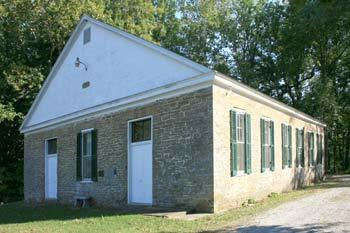 Just north of Ripley is the Red Oak Presbyterian Church, a substantial stone structure built in 1816. 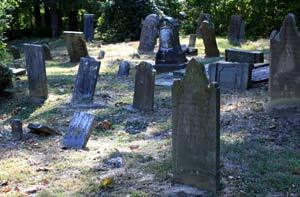 The oldest cemetery on the church ground is surrounded by a native stone wall and encloses a number of graves over 200 years old. The North Cemetery is still open for burials and includes the grave site of one of Brown County's most famous natives, Rosa Washington Riles who was better known to the rest of the world as "Aunt Jemima." Rosa, the granddaughter of slaves, was born to Robert and Julia Washington in Red Oak in 1901. The Ohio River has played an important role in the history and development of the state. But the Ohio River we know today is not the river that existed in the the 1800s and before. In the 1900s, locks were built that helped regulate the river's depth and helped control flooding. During the time of the Underground Railroad, the Ohio River would freeze over in the winter and shrink to the width of a country road in the summer months. But no matter what time of the year, it was always dangerous to cross for those not familiar with rivers. 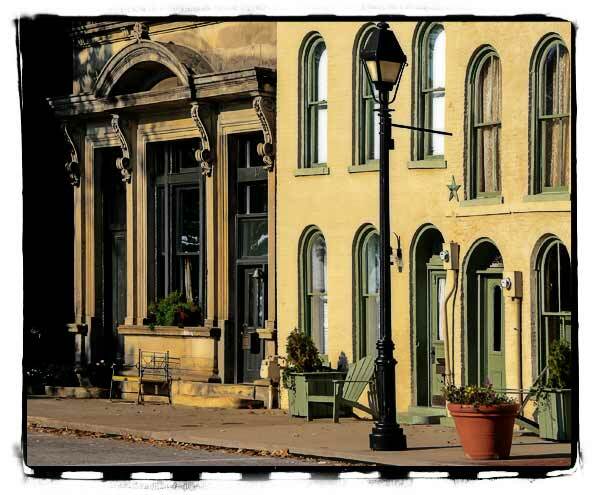 Ripley is also the hometown of Circleville's famous pumpkin grower, Dr. Robert Liggett. His success in the world of growing big pumpkins has become legendary. Robert graduated from Ripley's high school before attending The Ohio State University.